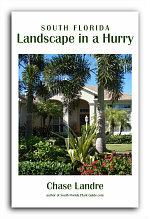 Feathery fronds and small stature make the pygmy date palm one of South Florida's most popular landscape palms. 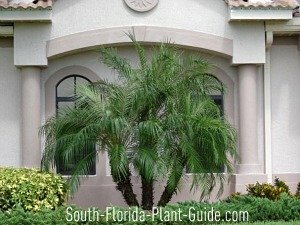 This beautiful, easy-care palm works almost anywhere as an accent plant for any size yard...even close to the house or by the pool. Naturally a solitary-trunk palm, it's most often seen with two, three or even four palms planted together to make a multi-trunk specimen. The additional trunks add fullness to its graceful form. A single-trunk pygmy takes up less room and generally grows straight up, making it a good choice for a narrow spot. One with double trunks can frame and showcase a focal point beyond it. Slow-growing to an ultimate height of only about 12 feet, this outstanding little palm is generally cold hardy to Zone 9B (especially when planted in a protected spot). If winter brings very cold winds, the pygmy may show leaf-tip burn. 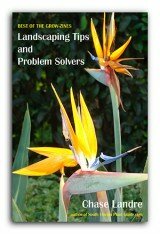 It takes full sun to partial shade, making it easy to find a great planting location in the yard. Pygmy date palms are said to be deer-resistant, but we make no promises. 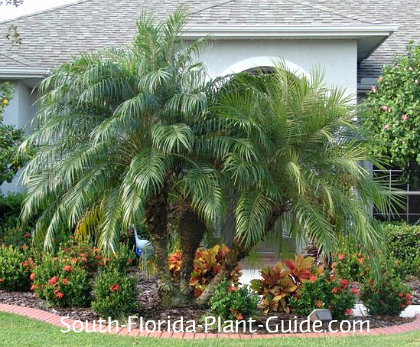 Happily low-maintenance, a pygmy palm should be planted with top soil as a soil amendment, and fertilized with granular palm fertilizer in spring, summer and fall. Old fronds and occasional seed pods will form a brown "petticoat" under the greenery; trim them off now and then. Plant at least 3 feet (4 or 5 would be even better) from the house, positioning the trunks of a multi-trunk specimen in a way that makes sense for future growth. Single trunk specimens can go as close as 3 feet. Pygmy palms can be grown in containers and work well in pool cage planters, since they grow so slowly and don't get too tall. Give this palm lots of light while in a container. 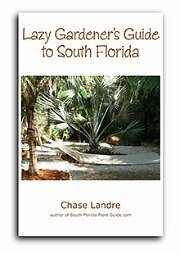 While the palm is short with fronds cascading nearly to the ground, use low-growing plants such as dwarf oyster plant, bromeliads, or pentas - all of which like the bit of shade the palm will provide. If there's enough trunk showing, you can venture into small shrubs such as Indian hawthorne, dwarf ixora, or 'Plum' loropetalum, or flowering perennials such as white buttercup.